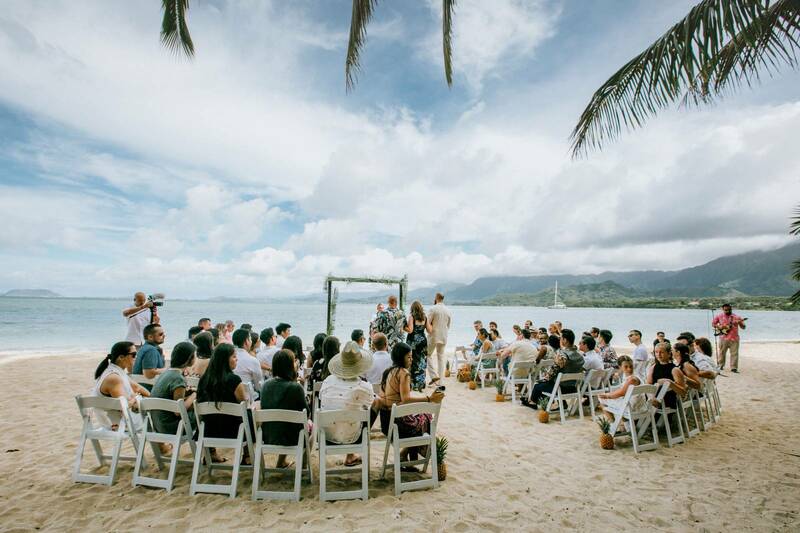 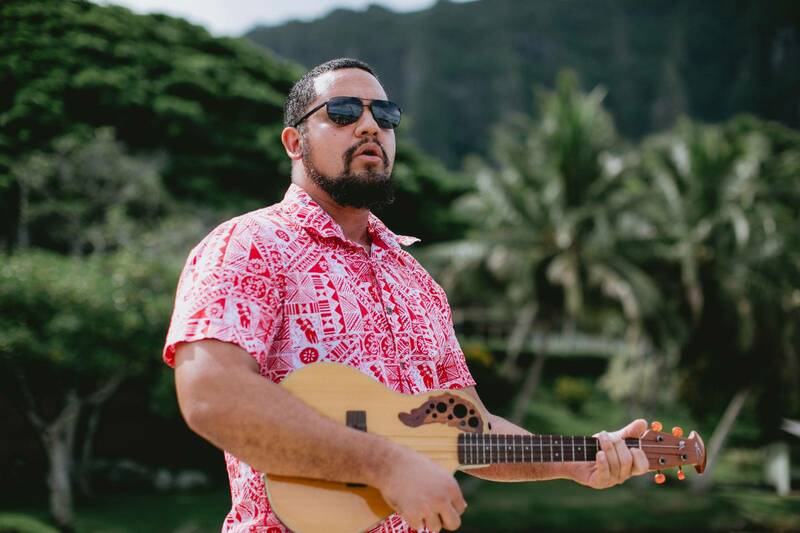 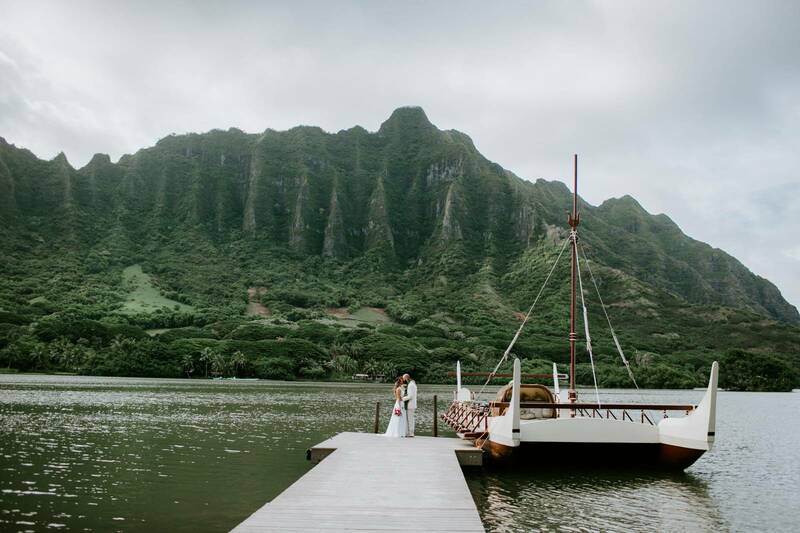 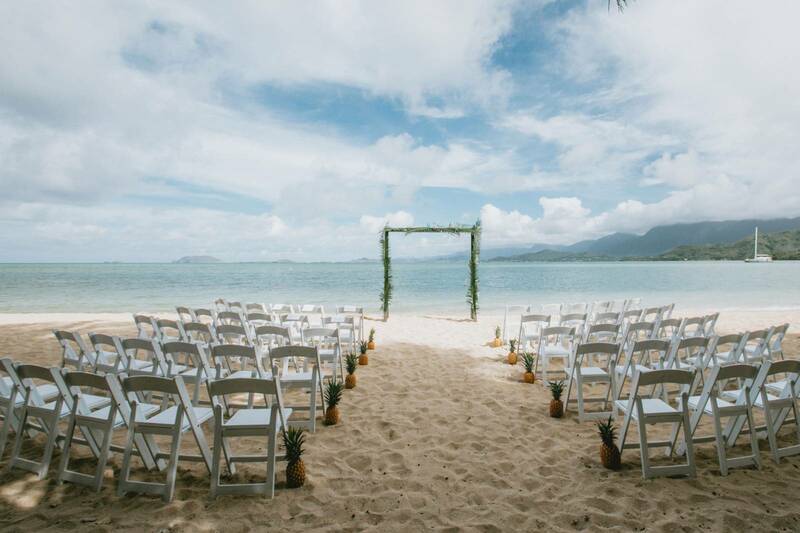 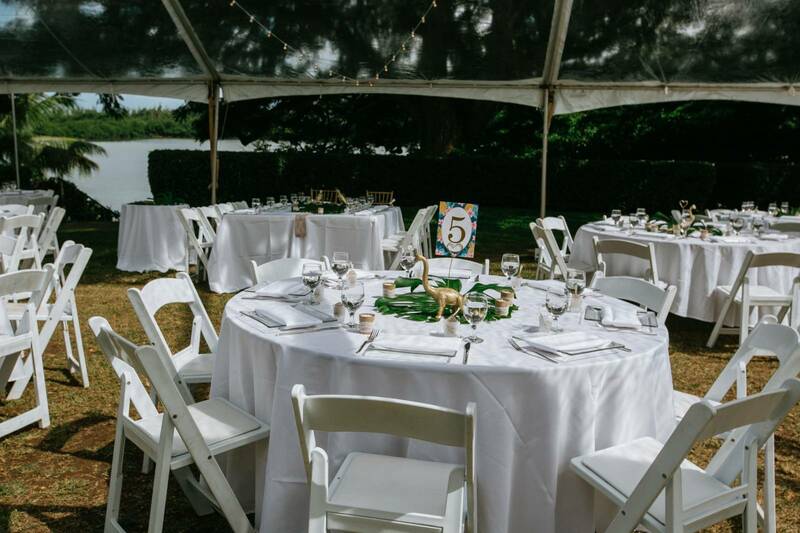 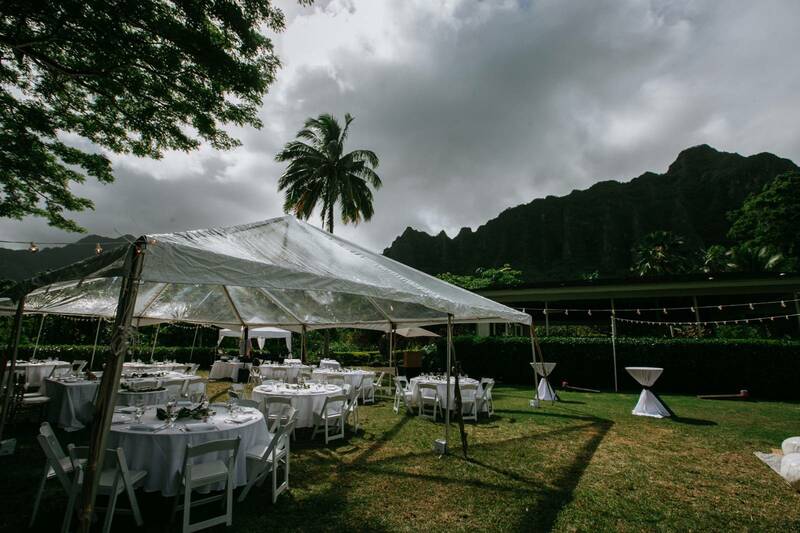 There are so many unique locations where you can get married at Kualoa Ranch. 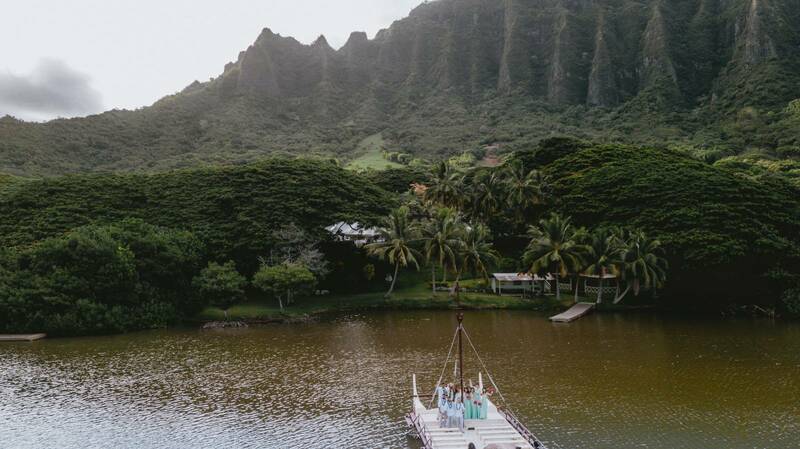 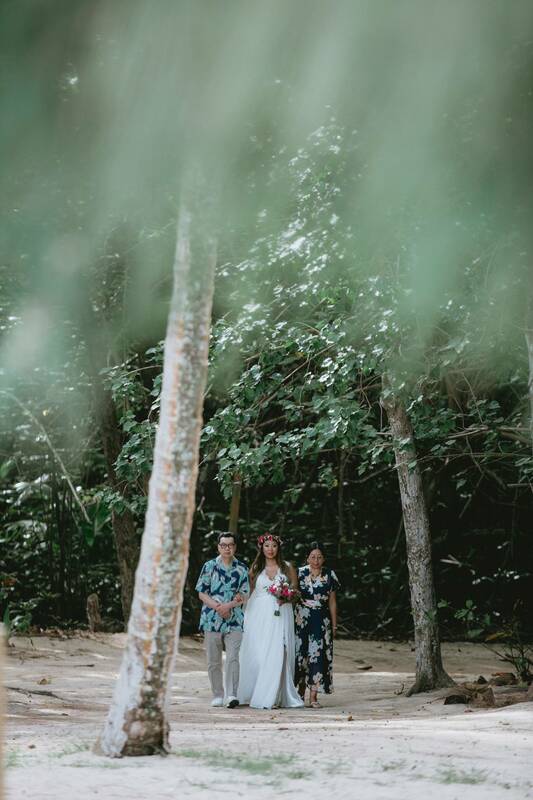 From the Jurassic Park set in the mountain to a beach wedding on a Secret Island. 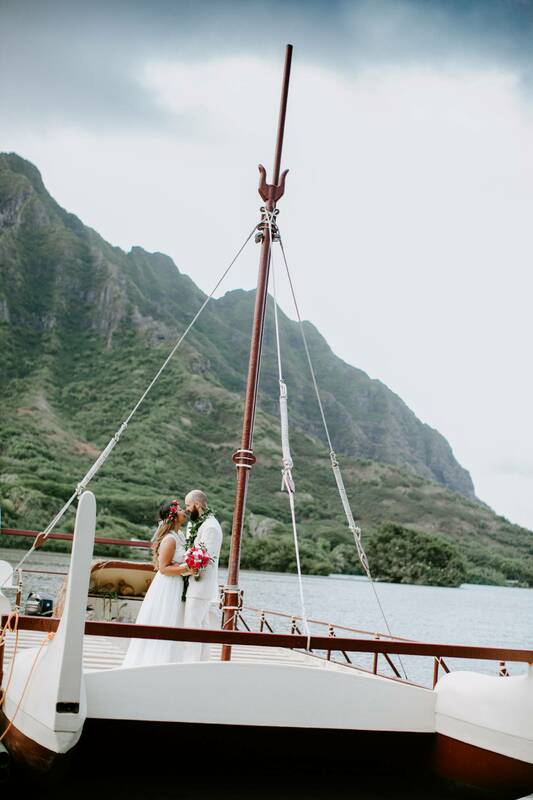 A catamaran ride to the ceremony site is very unique. 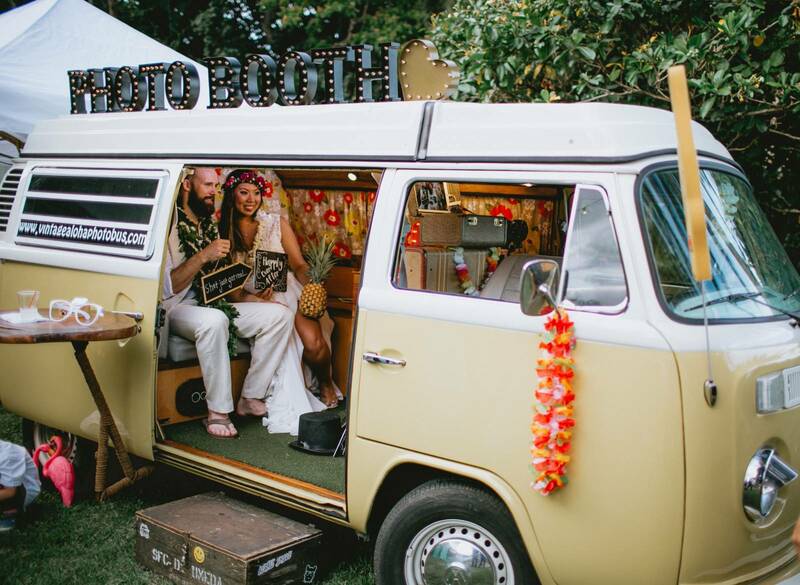 Live ukulele entertainment greeted them as they arrived. 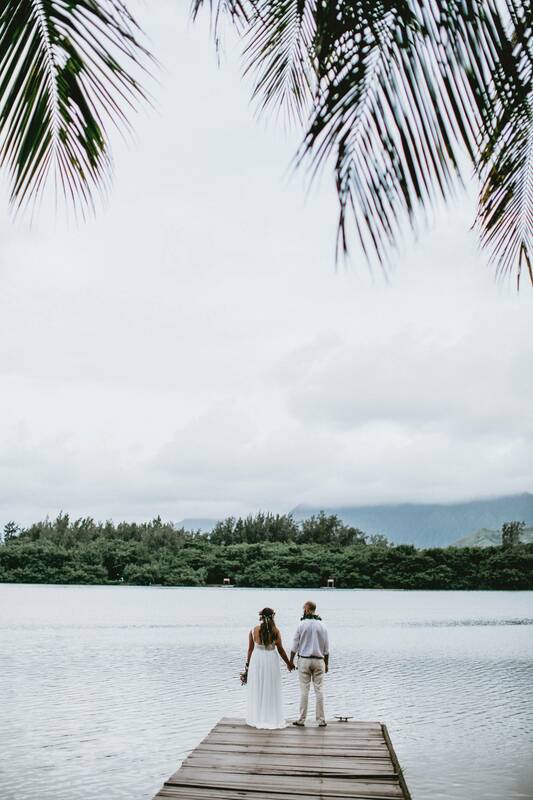 The picturesque Secret Island Beach with the lovely sound of water against the shore was perfect. 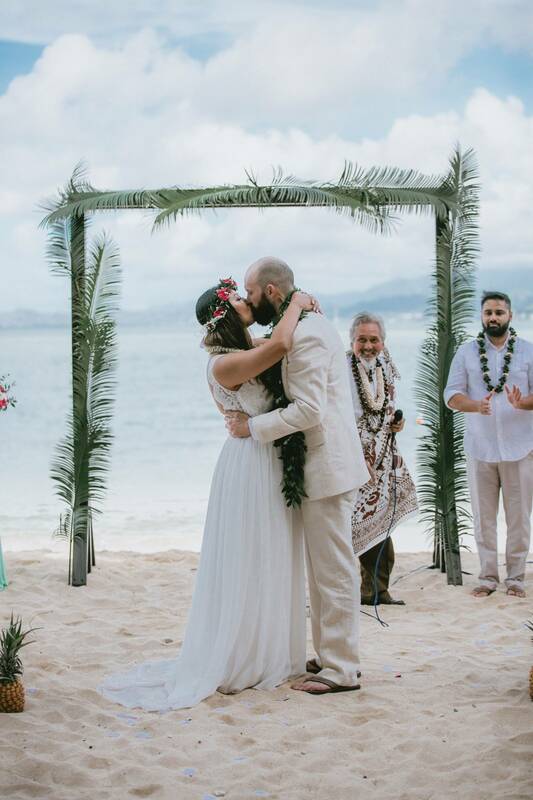 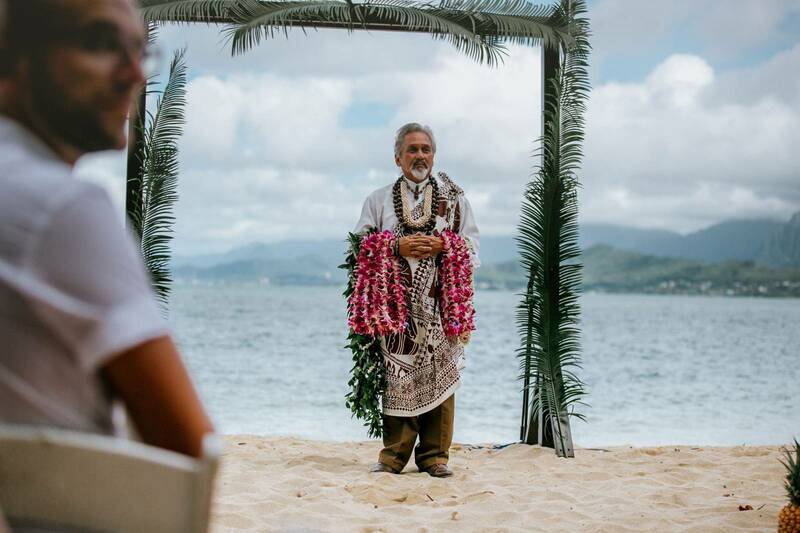 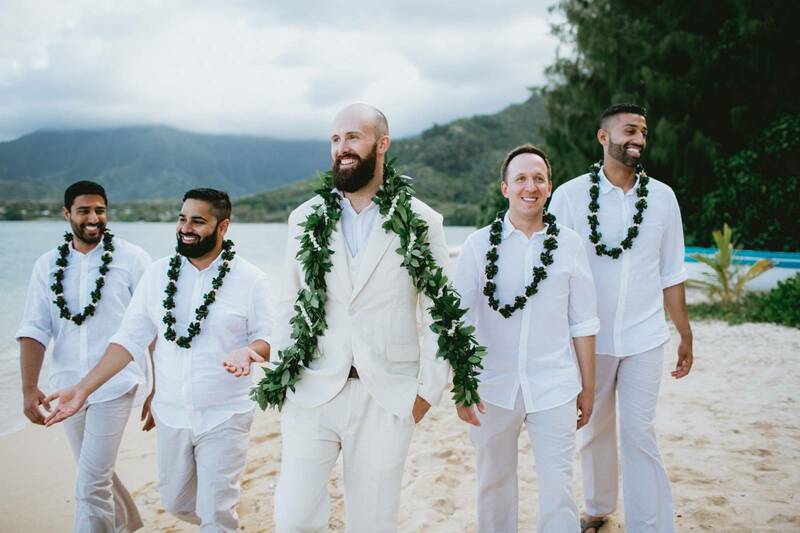 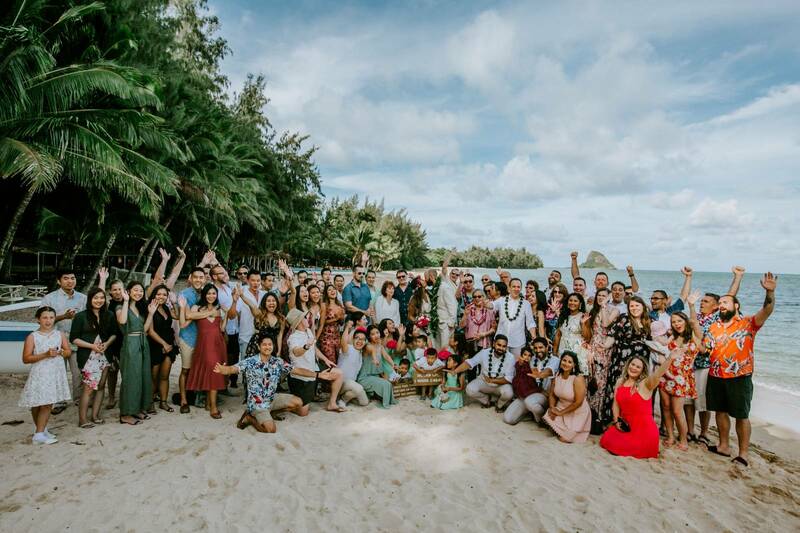 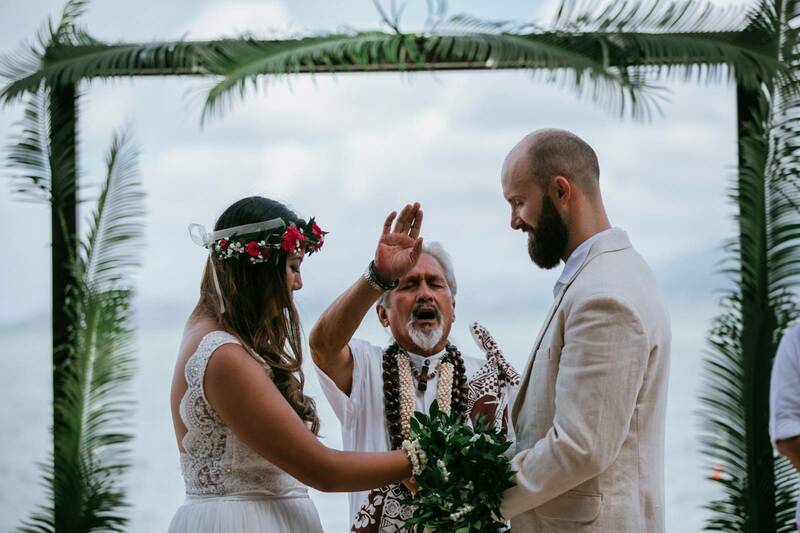 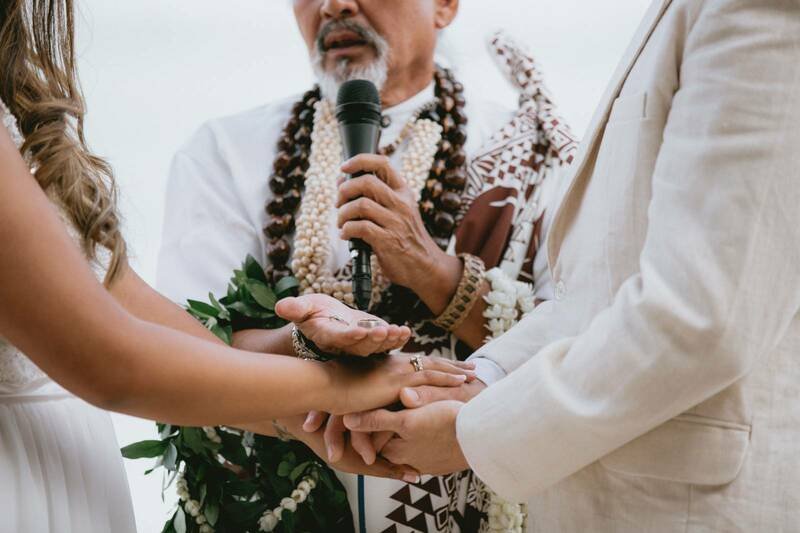 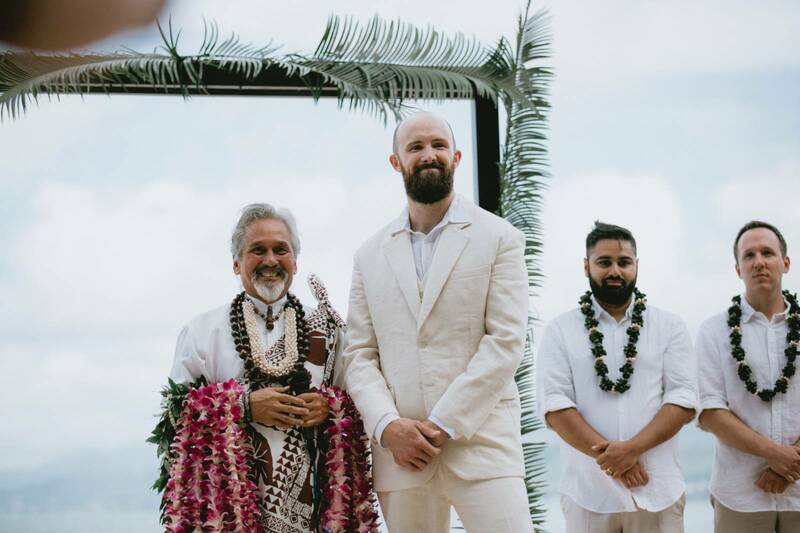 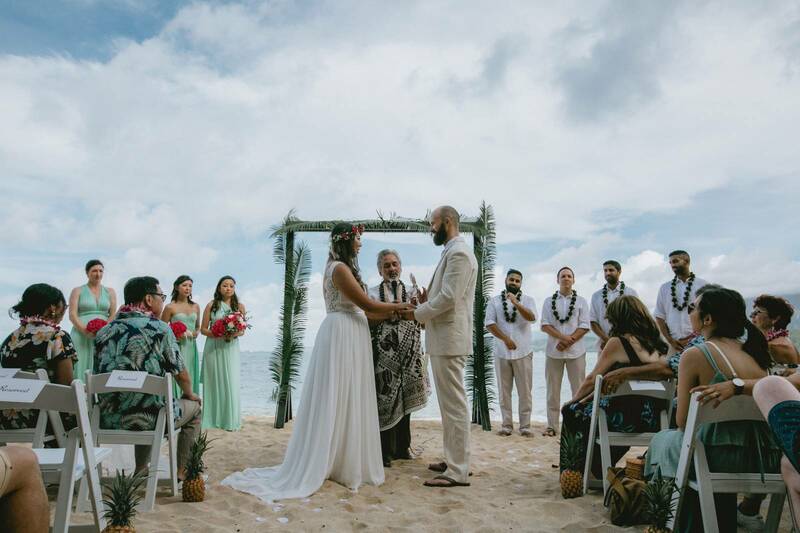 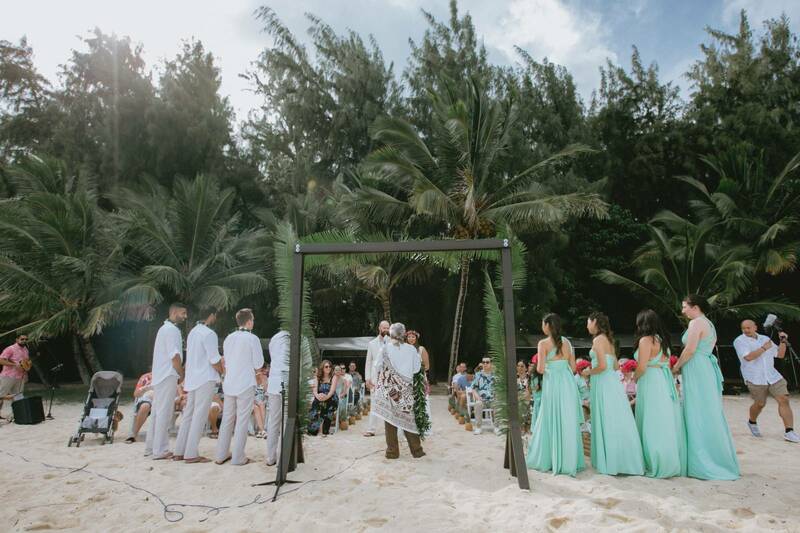 Kahu Bruce Ah Leong was their officiant and so gracefully incorporated Hawaiian traditions and chants into our ceremony. 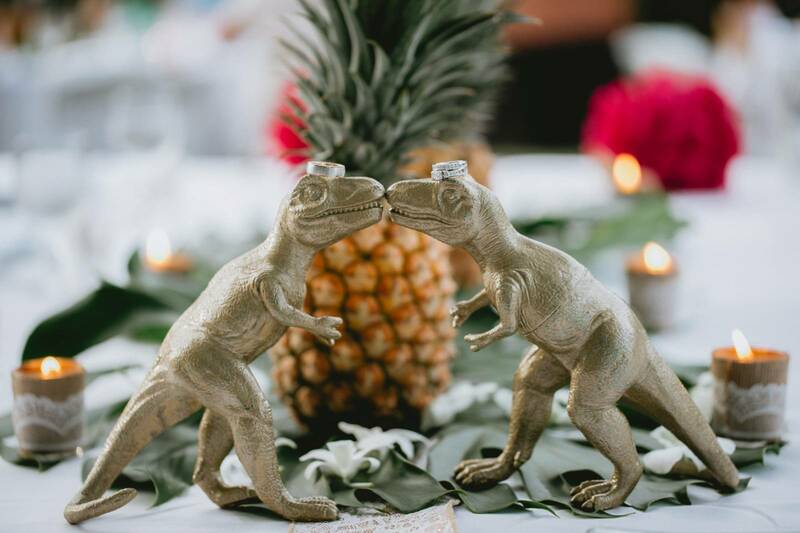 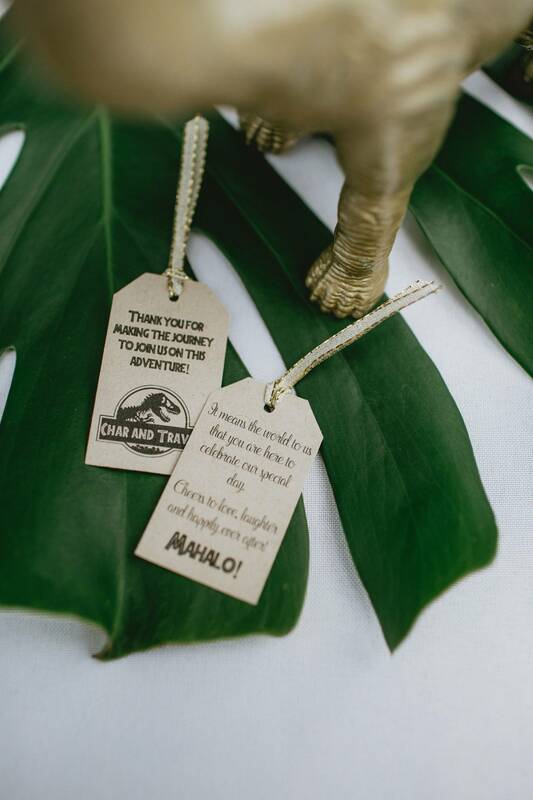 And, the best part was when Char surprised Travis by walking down the aisle to the 'Welcome to Jurassic Park' theme song and the song hit its crescendo just as Travis turned around and saw her for the first time on their wedding day. 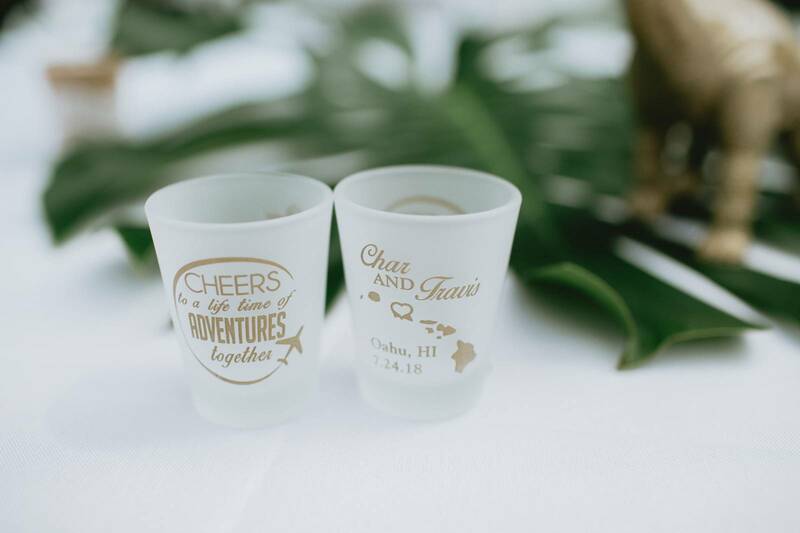 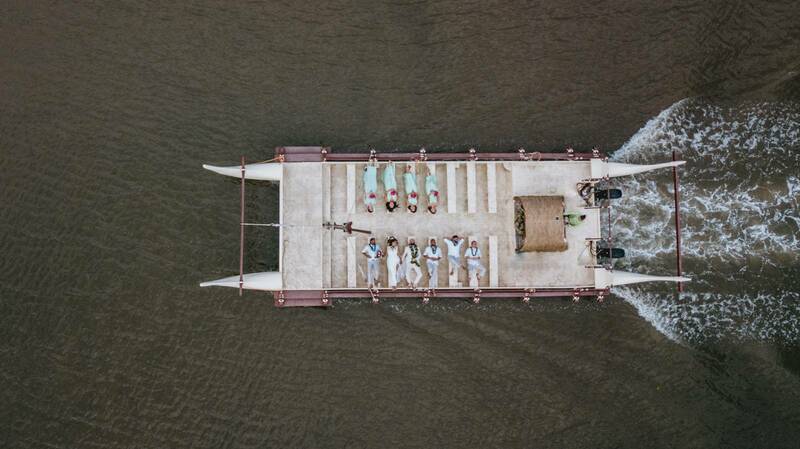 To create a unique destination wedding experience, Char and Travis wanted their wedding to be laid back, relaxed, and fun - not your typical wedding. 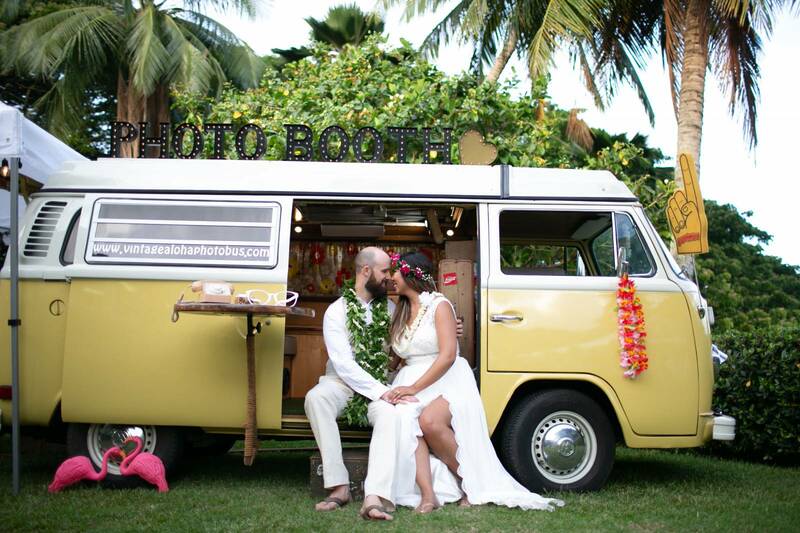 They had lawn games, flip cup, beer pong, a shave ice station, and the Vintage Aloha PhotoBus. 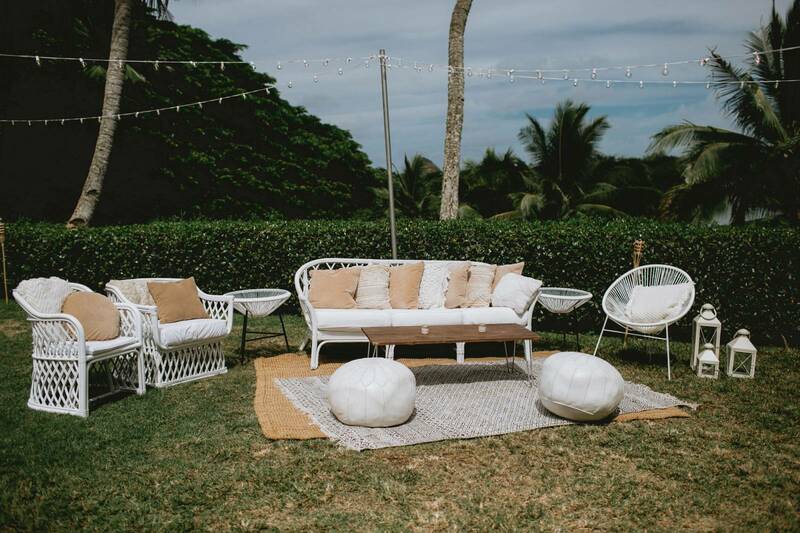 Aloha On The Rocks provided an open bar and Aloha Artisans provided a lovely lounge area to relax. 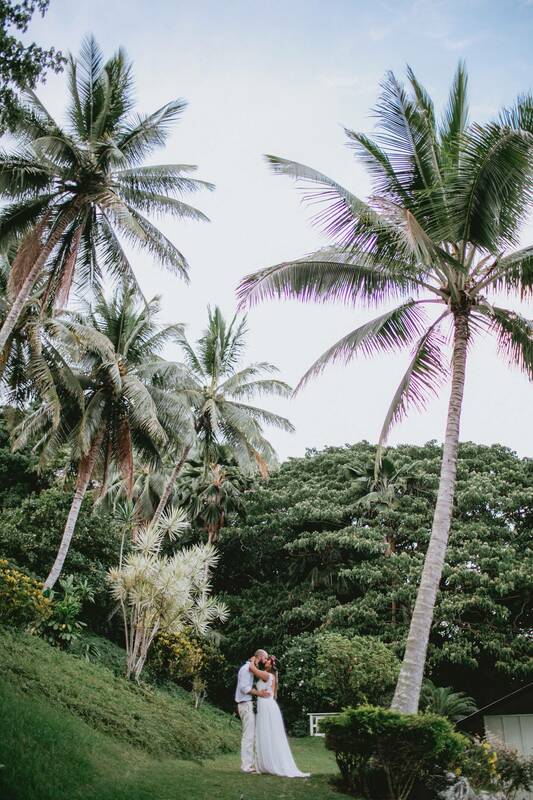 Toes in sand and drinks in hand. 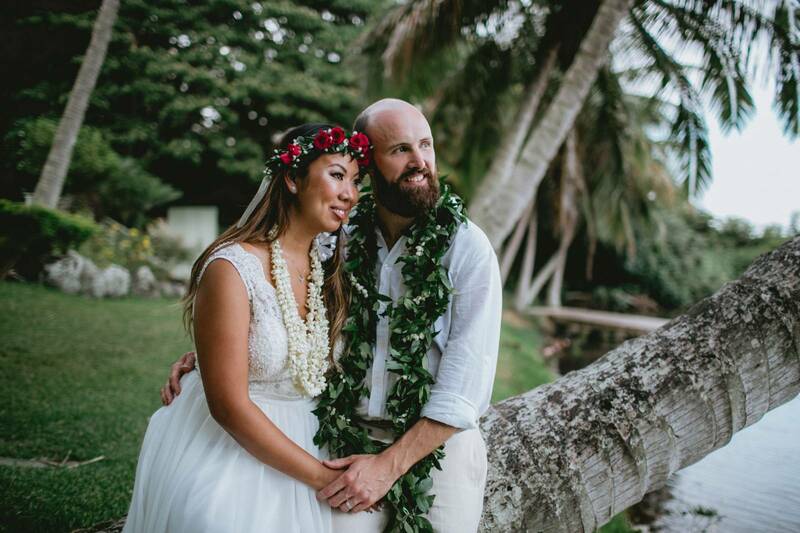 Their dinner menu was also a mix of their favorite foods like mac & cheese, grilled cheese, garlic shrimp, kalua pig, and more. 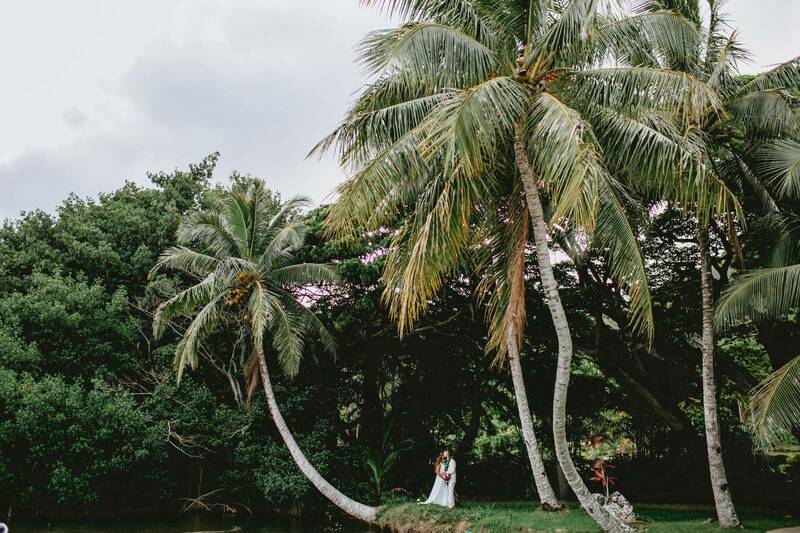 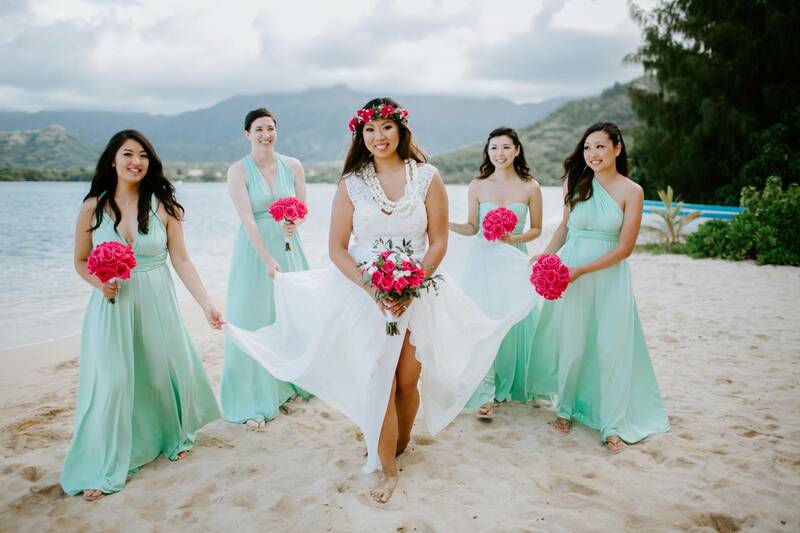 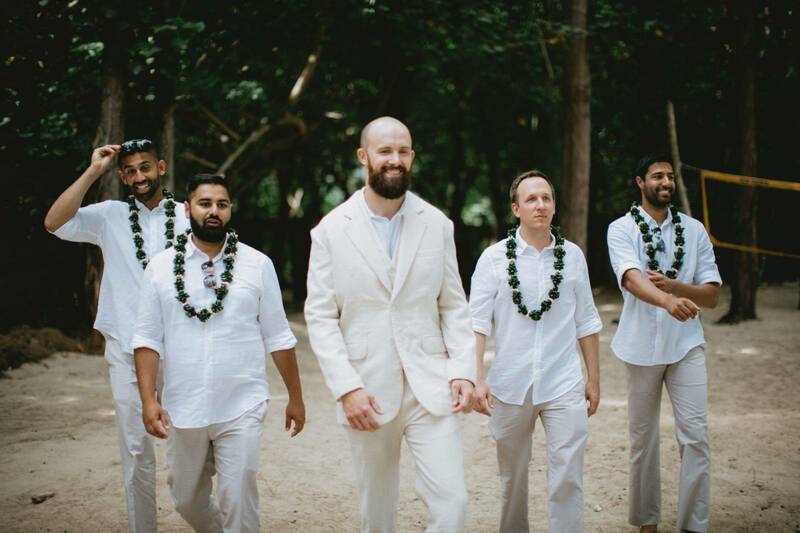 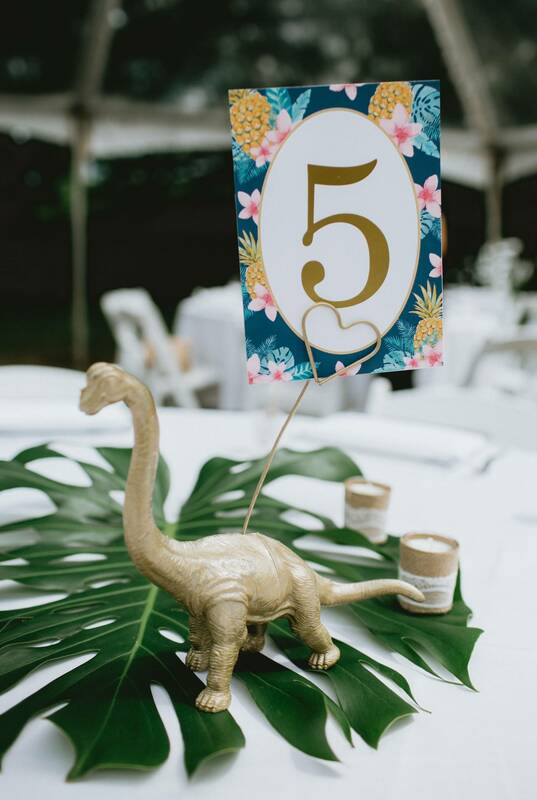 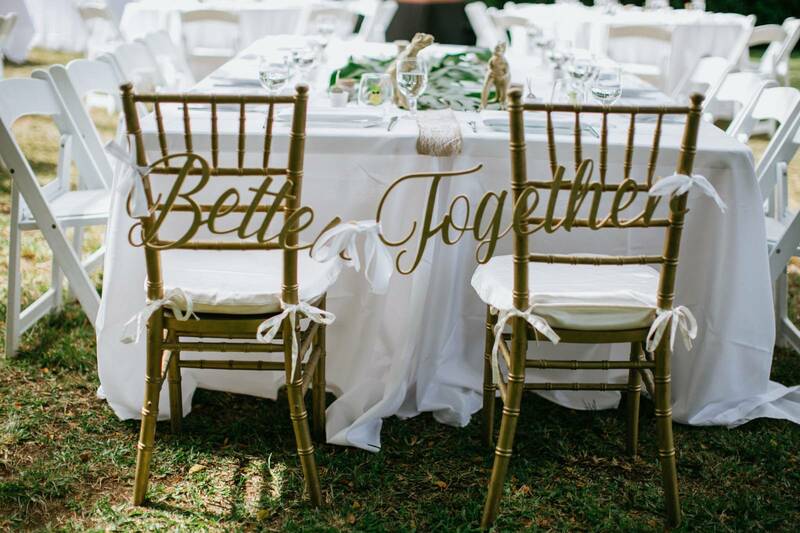 Jenna Lee Pictures captured all the different locations and details of this tropical and adventurous wedding.